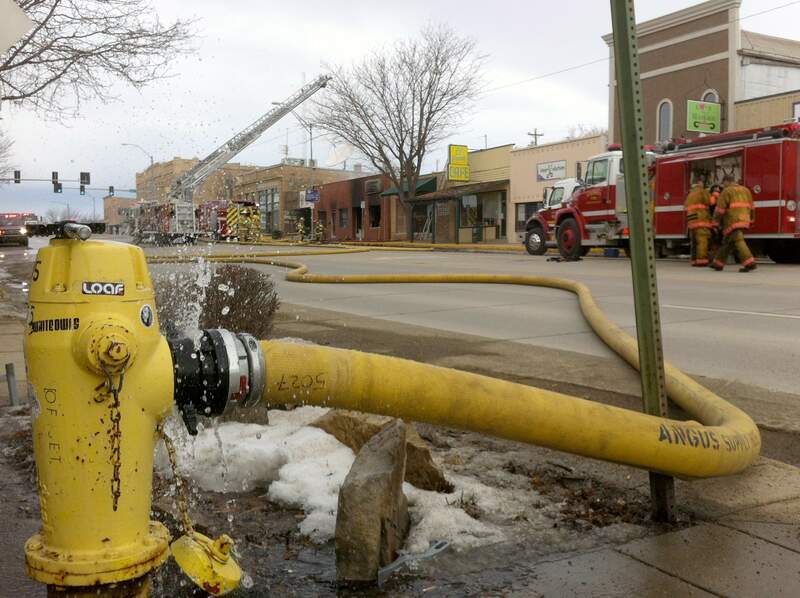 An early-morning blaze in downtown Cortez on Sunday gutted three businesses and halted eastbound and westbound traffic on Main Street for hours. Cortez Fire Chief Jeff Vandevoorde said the fire call was received at 3:38 a.m. Sunday. Within four minutes, firefighters were on scene at Stewart’s Floor Covering at 20 East Main St. with flames leaping some 20 feet in the air. Assistant Fire Chief Charles Balke was with one of the first crews. “We saw heavy smoke pushing through the roof and through the front of the building. Secondary crews came around the back and saw active fire,” he said. Stewart’s Flooring, Cortez Works and Family Shoes & More were destroyed, Balke said. “We were able to stop the fire from getting into the law office next door and the coffee shop over there,” Vandevoorde said. Up to 50 firemen responded to the scene, including crews from Dolores, Lewis, Mancos and Pleasant View. No injuries were reported. “All the crews from all the agencies worked extremely well together,” Balke said. Balke said the crews took a defensive approach, in part because it was an unoccupied commercial building. After initial sweeps, firemen didn’t stay inside. “It just wasn’t safe enough to keep crews in there,” he said. The Cortez police and fire departments are working to determine the cause. She found it heartbreaking to see such a loss to happen to a local business like hers. Once Upon a Sandwich faced a similar crisis on a smaller scale it flooded several years ago. “It’s devastating to your employees,” she said. Cortez Journal Staff Writer Tobie Baker contributed to this story. 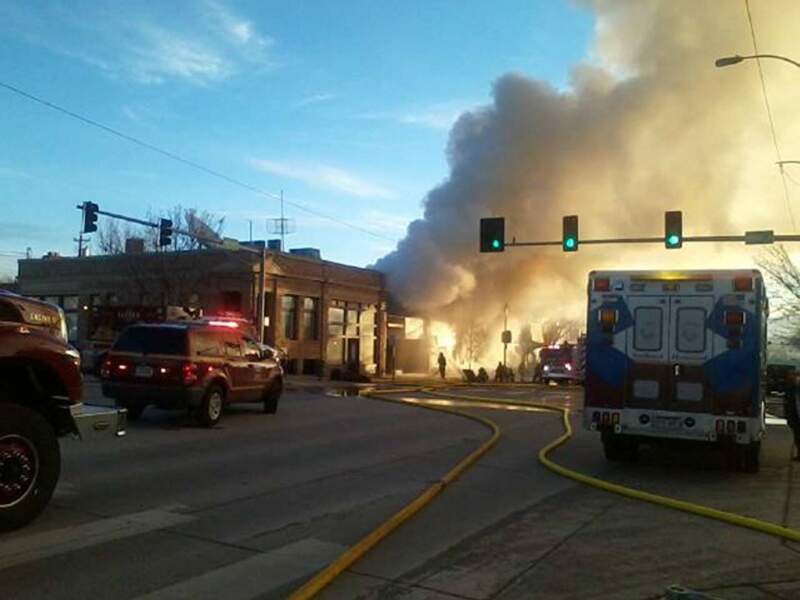 A fire destroyed three Cortez businesses on Main Street on Sunday morning. The building that contains them was engulfed in flames about 7:30 a.m., when this photo was taken. Water leaks from a pressurized water plug Sunday. A fire on Main Street closed traffic until noon.